Anyone who puts their children into childcare knows that these centres are run by magical fairies who get our children to eat their vegies, be polite and wash their hands without complaint. We see our children come home with tales of arts and crafts we would be too busy to organise and are looked after by carers who deal with all the mood swings, tantrums and fussiness that drive us mad, while handing out safe solutions more brilliant than a Geneva convention – with a huge smile on their faces, no less! In other words, we love the people who look after our children. Which is why the news reports of Senator David Leyonhjelm’s comments that childcare workers are merely “wiping noses and stopping the kids from killing each other” really made our blood boil. 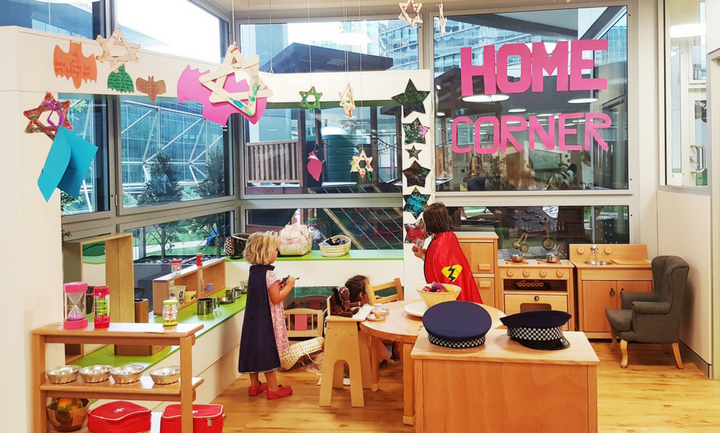 We decided to go into one of Sydney’s leading Early Childhood Learning Centres to find out about the inner-workings of these fabulous ‘nose wiping’ factories. We headed to Kids Club on Clarence Street after hearing it had won a Master Builders Association 2016 Excellence in Construction Award to meet centre director Shelli Hanson. Would it be all bells and whistles while the children sat sullenly with their noses running? Within minutes of meeting Shelli I knew that this would not be the case. With over 20 years of experience, she is like a real-life Fairy Godmother. She knows each of the children’s names off by heart (there are over 60 children in the centre, many of them just starting this week) and they run to her with open arms begging for cuddles. She is full of positive affirmations – and if you need to take one away she has them on the wall too. Yet she is quick to validate a child’s feelings if they’re sad. “It’s important for that child to know their feelings are real.” But she’s not just a Mary Poppins of sweetness, she knows her stuff, quoting me the latest research on play-based learning as she shows me around the visually stimulating environment. With a biometric security system you enter the Clarence Street centre expecting the cold ‘office building atmosphere’ of the CBD but are met with light, colour and fun. 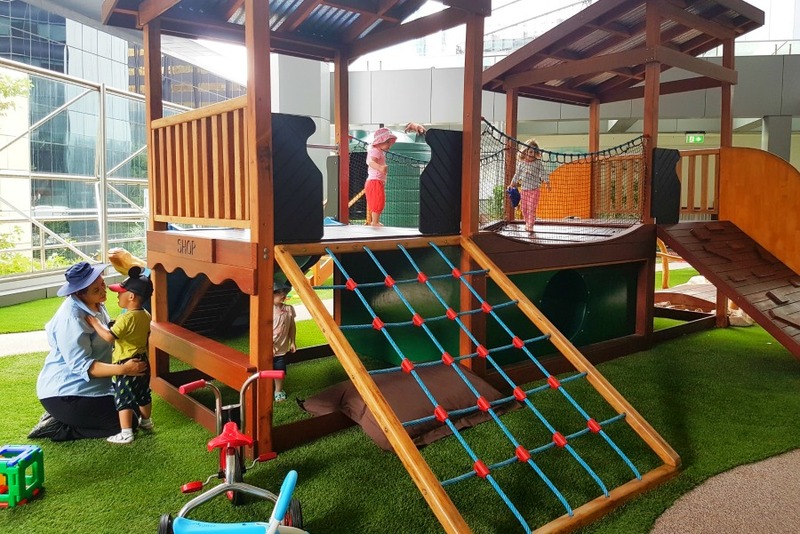 It’s also a completely natural environment with timber furniture and toys, craft areas, water play and a pièce de résistance outdoor playground you would love to bring your kids to everyday. On my tour I saw kids playing superhero dress-ups, building winding train tracks, learning Chinese numbers, and babies being fed gourmet meals on their low chairs (“not high chairs, we want things to be on their level.”) Everything is just so systematically thought out – there is meaning to every single piece of furniture, toy and decoration! Parents are welcome to drop in at anytime to see their children. In fact, breastfeeding mothers who work nearby are encouraged to come in and are given a safe and comfortable area to feed. Sun safety is enforced, even though the outdoor area is mostly shaded. The centre sends “Little Ray of Sunshine” emails everyday to parents with photos and highlights of the day. 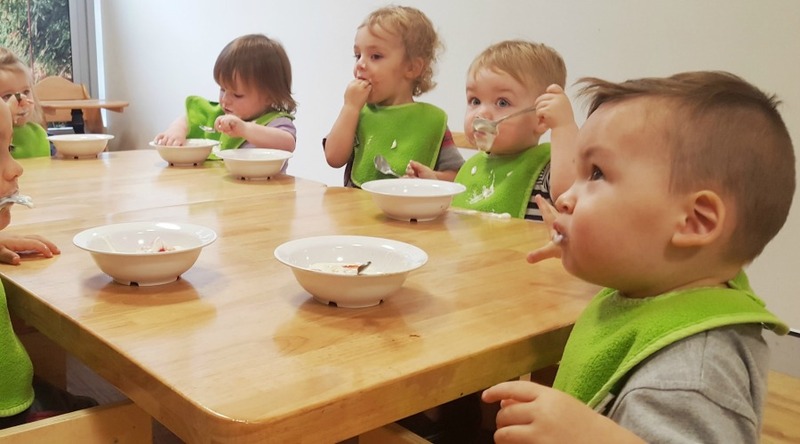 There are no white foods, everything is nutritionally balanced, made fresh on the premises by a qualified chef – and the children seem to love it! Kids Club know that it’s the parents who often struggle the most with childcare drop-offs. That’s why they have a two week orientation period where you can ease your child in gently and make the transition as smooth as possible. Although, during my tour with many newbies in the house, it seems these children are doing just fine! Shelli treats each and every one of them like her own, as she says, children are our “hearts walking outside our bodies”. That there is proof these childcare workers are everyday heroes who work harder – and with more heart and fervour – than any politician you’ll meet! More Info: Visit their website. Just love what they do. Great environment and great people who care for and care about the children.